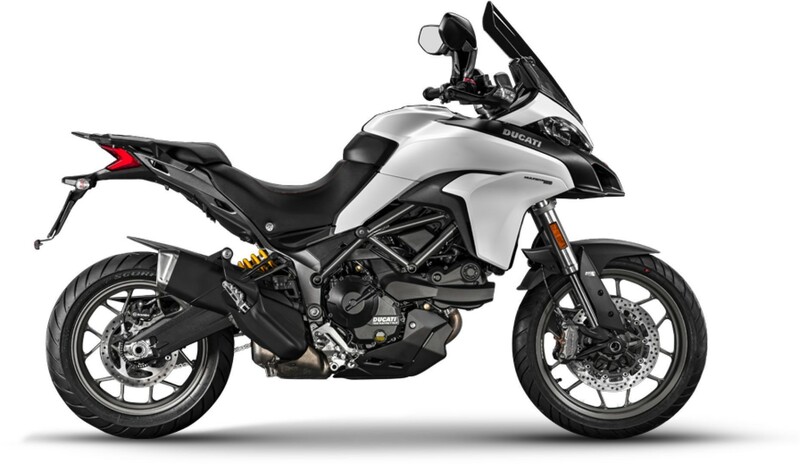 Available to fit the Ducati Multistrada '17- (L7) models. This R&G Stainless Steel Radiator Guard protects both of the radiators on the Ducati 950 Multistrada '17- models. This right hand side R&G Engine Case Cover fits the Ducati Multistrada 950 '17-, protecting the exposed engine case covers from damage in the event of a crash, slide or drop. R&G Bar End protectors have been specially designed and developed for the DUCATI 950 MULTISTRADA '17- models. The Cotton Reel protects the swingarm and swingarm core components in the event of a crash or drop, but also double up as paddock stand bobbins. Allowing the motorcycles rear wheel to be lifted into the air via a paddock stand to performance chain adjustment, tyre changes and cleaning! These swingarm protectors are suitable for the Ducati 899 Panigale '13- & Multistrada 950 '17- models and fit neatly into the left and right hand side of the spindle held in place thanks to their expanding design keeps them securely in place. This 4 piece R&G Tank Traction Grip kit has been specially designed for the Ducati Multistrada 950 '17- models.